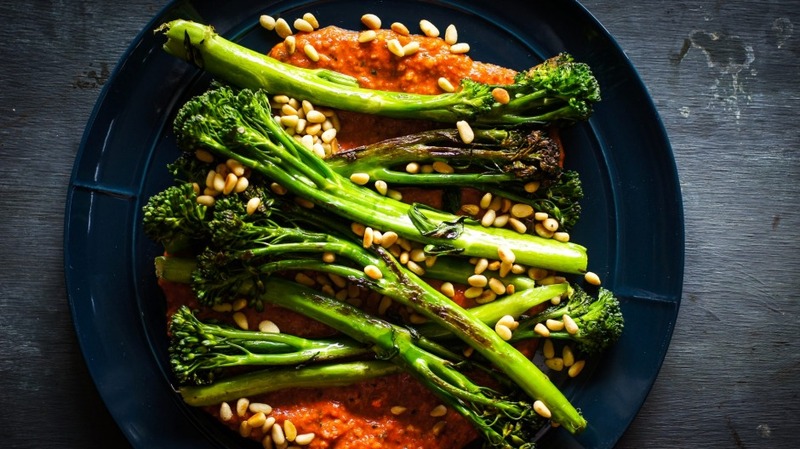 Broccolini accentuates and complements all kinds of add-ons, like this light, herbaceous and spicy romesco. Add some toasted nuts and this is a tick-all-the-boxes kind of dish. This recipe makes 4 cups of romesco, more than you need, but it keeps well in the fridge and is all kinds of useful: toss it through pasta, slap it on a ham sandwich, dollop it on roast chicken or grilled steak or serve with some crudites to snack on.